Mei Lin Yap’s latest article details her new Disability Inclusion & Advocacy Society in Trinity College, Dublin. Mei Lin Yap has teamed up with Margaret Turley to start a Society in Trinity College Dublin. It is called Trinity Society for Disability Inclusion & Advocacy. Its aims are to promote inclusion in the Trinity community and educate people about the rights of people with intellectual disability. It will provide education in self-advocacy to empower the members. The society will launch during Fresher’s Week in September 2017. 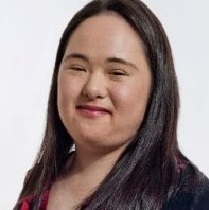 My name is Mei Lin Yap and I am a young woman with an intellectual disability. I have teamed up with a fellow Trinity graduate, Margaret Turley, to start a Society in Trinity College Dublin. I met Margaret on a lecturing project in Trinity College in which we were both involved. Myself and Margaret were looking for opportunities to be involved with other groups and we learned about the Inclusive Research Network (IRN) through Dr Edurne Garcia Iriarte, who is one of the lecturers in the School of Social Work and Social Policy in Trinity College Dublin and has supported the IRN since 2009. Margaret and I attended the IRN meetings in Limerick, and as a result of these meetings we became interested in starting a society. With support from Dr Garcia Iriarte, we have managed to get others on board and we are in the process of starting a society in TCD. We hope the Society will help to create an inclusive environment in TCD by involving disabled and non-disabled students, staff and alumni. We intend to collaborate with all departments of Trinity College and invite their input. We are calling ourselves Trinity Society for Disability Inclusion & Advocacy. This will be a unique society. Our aims are to promote inclusion in the TCD community; to educate people about the rights of people with intellectual disability and the contribution that we can make to society; and to make changes to the services that we use in every day life. Our aim is to advocate and lobby, to help educate and raise awareness in order to improve the lives of those with disabilities. We hope that raised awareness and understanding of disability will in turn influence better provision of supports in relation to health, education, and employment. Our big dream is to start off by breaking down barriers that currently exist in society. We are now looking into different funding opportunities. The Society will be led by CCL alumni Mei Lin Yap and Margaret Turley. We will be facilitating monthly meetings to address inclusion and cover topics of importance to people with disabilities. People with disabilities will have the opportunity to share their experiences and learn from other participants. It is also intended to provide education around self-advocacy to empower our members. The committee consists of Chairperson; PR & Marketing Officer; Events Liaison Officer; Secretary; Treasurer. All of these posts are held by people with intellectual disability. Each officer of the committee will have a non-disabled support counterpart. We are working towards launching our Society during Fresher’s Week in September 2017. Mei Lin Yap is a regular contributor to Frontline Magazine Ireland and our social media pages, with a keen interest in the rights of people with disabilities, particularly with regard to access to education and employment.